Home BOLLYWOOD After Esha Gupta, Bigg Boss Fame Mandana Karimi Goes Bare! After Esha Gupta, Bigg Boss Fame Mandana Karimi Goes Bare! Esha Gupta recently became the talk of the town with her steamy photo shoot. Esha had uploaded a string of very bold pictures via her Instagram account. They are apparently a promo of sorts for her new lingerie collection. 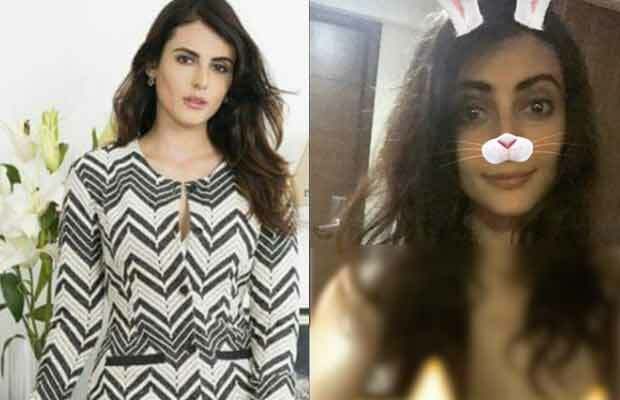 After Esha, now former Bigg Boss contestant Mandana Karimi is breaking the internet with her bold picture. She has shared an after selfie on her Instagram account as an Insta story. Mandana Karimi was recently in the news for a troubled marriage with Gaurav Gupta. Mandana married Gaurav in January this year and it was very soon that she started having issues with her husband and his family. Mandana Karimi was last seen in Kya Kool Hai Hum 3. Next articleIndependance Day: Aamir, Shah Rukh, Salman Khan, Ranveer, Anushka, Priyanka, Akshay, Ranveer Post Wishes!